Can it really be December already? To celebrate the final month of the year I'm rolling out the first of many desktop calendars. I also created some iphone, and ipad backgrounds to coordinate. As promised here is the chili recipe we are obsessed with. It's our family's Halloween tradition to make chili before trick-or-treating. Since we are a bit too old for the trick-or-treating part, we decided that we would just keep the chili part of the tradition alive. So add this to your list of must try Fall dishes! In crockpot place cooked chicken, onion, garlic powder, beans, broth, chilies and seasonings. Heat thoroughly. (3-4 hours on low) Or bring to boil over stove, simmer uncovered for at least 30 min. Remove from heat, add yogurt and whipping cream. Serve immediately. The changing of the seasons not only signals a change in wardrobe, but adjustments to your home as well. Think about it in the same way you would your wardrobe. Adding lush fabrics, texture and warmth can be easy if you start of small. A knit toss pillow, a wool throw, and some wooden accessories can cozy up a space, just like that. This month's favorites are a collection of small things you could add to your home to warm it up for fall. I just ordered #2 and I can't wait to snug it right onto the guest bed. Starting this August I'm going to begin sharing my five favorite eco-friendly finds of each month. This month I focused on eco-friendly home decor. If there is a product you have been desperately trying to source, leave me a comment below, and I'll see if I can find something to suit your style needs for future posts! We decided this summer we would make our own sunscreen. I know it's a bit late in the season, but we tested out 4 different ratios of oil to zinc oxide before determining that this was the best one. This recipe shouldn't be the end-all and be-all answer to your sun prevention needs. I usually wear a hat and cover up when I am outside, as well as keeping a diet rich in anti-oxidant foods. That really is the best way to minimize your risk of skin cancer and premature wrinkles, while keeping it all natural. But I think this recipe is a great addition to my normal sun protection tactics, and I could see a difference on days when were were out in the yard gardening. If you want to substitute some of the oils in the recipe here's a handy chart of natural SPF. if not click each ingredient for a link on where to buy online. 1. In a double boiler, over low heat, melt the coconut oil, beeswax, and shea butter. 2. 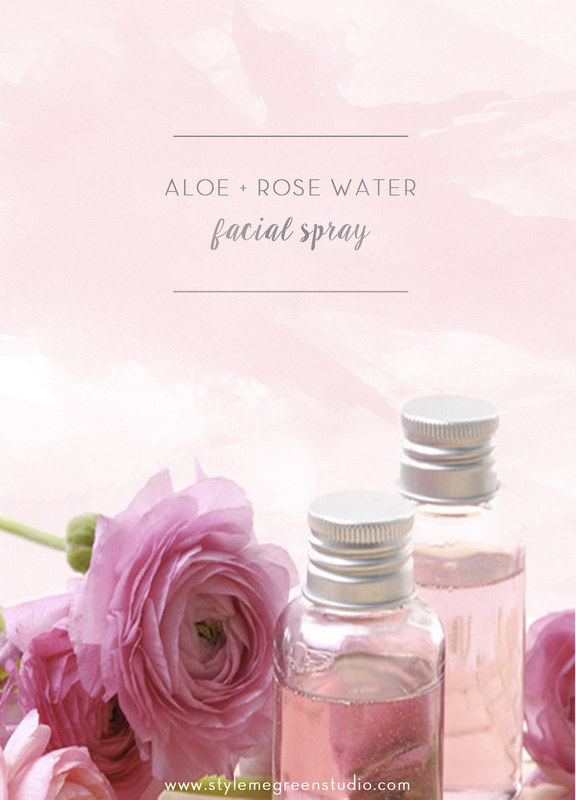 Remove from heat and allow to cool slightly prior to adding the vitamin E oil, zinc oxide powder, and essential oils. I poured my mixture into a glass jar to allow it to cool faster. 3. The oils and aloe will incorporate easily, but stir the zinc oxide until it completely dissolves. 4. Then pour mixture into a push-up or roll-up dispenser. 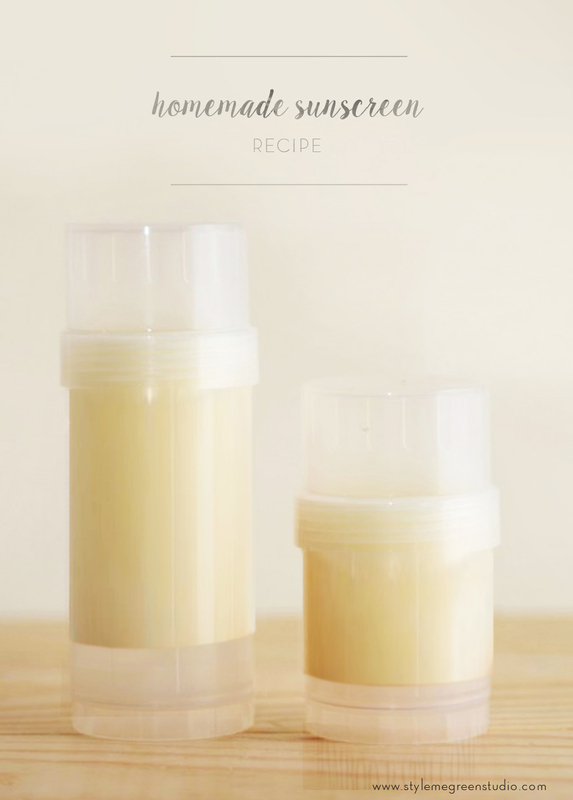 You can re-purposed used deodorant containers for this recipe too. 5. Allow your sunscreen to cool and harden overnight. If you are out in the sun for long periods of time, or swimming reapply often. If you don't need your sunscreen to be waterproof you can use less beeswax. If you aren't going to be using this around water you are probably okay with just 1 oz of beeswax. SPF numbers are pretty insignificant when it comes to differences in sun protection. SPF 100 blocks 99 percent of UVB rays, while SPF 50 blocks 98 percent. SPF 30 blocks 96.7 percent, SPF 15 blocks 93%. You'll want an SPF of more than 15 to block UVA and UVB rays, Zinc oxide blocks both UVB,UVA2, and UVA1 rays. More info on UVA and UVB here. 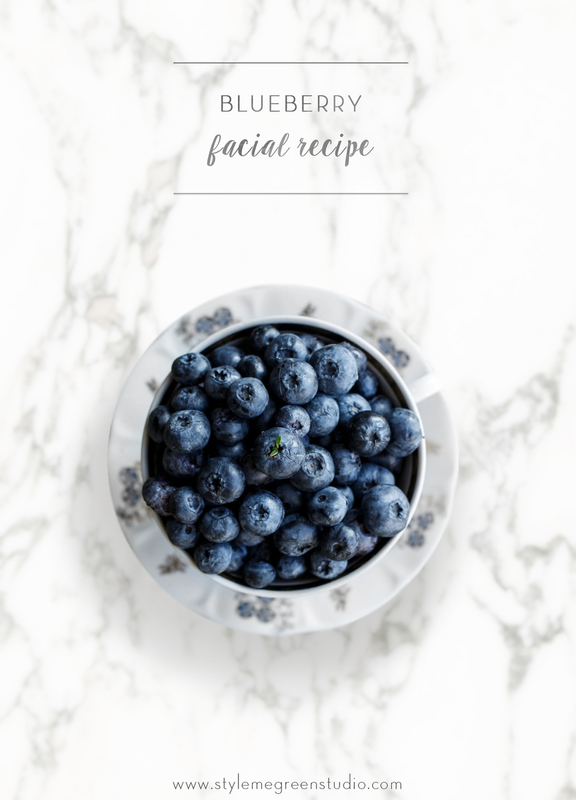 You could easily spend close to $30-$40 for all of the ingredients that you wouldn't already have if you don't make your own beauty product regularly, but you could get 4-5 batches before you'd run out of some ingredients. Keep in mind you can team up with friends and go in on the ingredients together.